Established by President Lyndon Johnson in the White House Rose Garden, the American Film Institute was officially founded in 1967. Gregory Peck was named first chair of the Board of Trustees and George Stevens, Jr., its director and CEO. The very first Board was comprised of film luminaries and masters, including Francis Ford Coppola, Sidney Poitier, Arthur Schlesinger, Jr. and Jack Valenti. While AFI’s deep DC roots date back more than 50 years, they are also still present to this day, with the Institute’s exhibition and preservation efforts still thriving in the nation’s capital. Started as SILVERDOCS in 2003, AFI DOCS has sought to recognize and celebrate the highest standards in documentary filmmaking around the world — convening a unique combination of artists and legislators. Attendees have included Senators, members of the President’s Cabinet and Congress, journalists and enthusiastic lovers of the art form. AFI first established an exhibition presence first at L’Enfant Plaza in 1970 before taking up official residence in the Kennedy Center, unveiling premiere restorations, classic film prints and more. The AFI Collections at the Library of Congress still lives today as a body of 60,000 films, contributing to our nation’s growing volume of culturally, historically or aesthetically significant works of moving image. 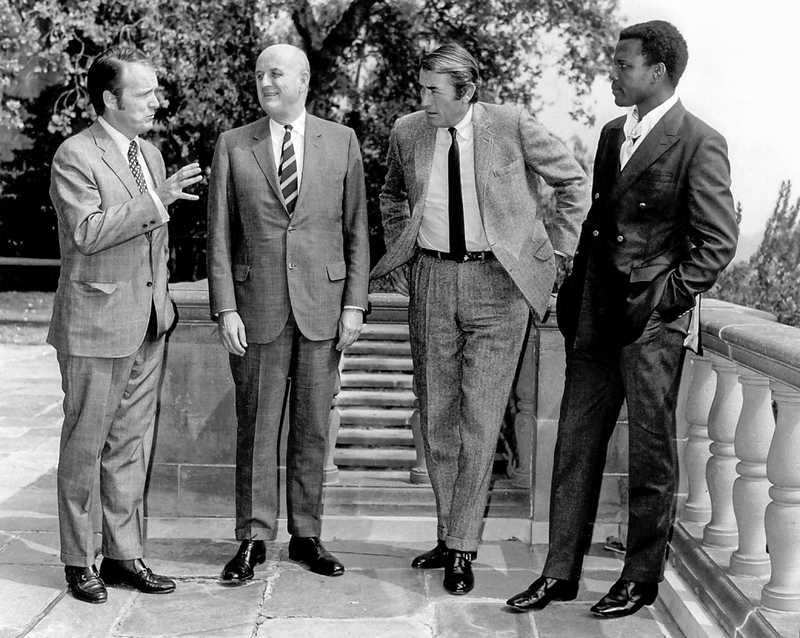 AFI’s Founding Chairs and Leaders: George Stevens, Jr., Roger Stevens, Gregory Peck, Sidney Poitier. Now located in Silver Spring, MD, the AFI Silver Theatre and Cultural Center has historically offered an exclusive repertory venue for classic, arthouse, international and contemporary films that delivers these film treasures year-round to audiences of all ages, standing tall amid a current climate of vanishing rep houses and even fewer celluloid sanctuaries. AFI Silver is a continuation of AFI’s longstanding presence at the advent of nonprofit film exhibition. Today, AFI has sought to recognize and celebrate the highest standards in documentary filmmaking around the world — convening a unique combination of artists and legislators. Attendees have included Senators, members of the President’s Cabinet and Congress, journalists and enthusiastic lovers of the art form. The 2017 edition of the festival this year takes place June 14–18. With conversations and experiences you won’t experience at any other film festival, AFI DOCS harnesses the power of this important art form and its potential to inspire change — and is a cornerstone of AFI’s DC programs. See the full festival lineup here. Check out AFI’s 50 Years, 50 Moments timeline for even more history here.